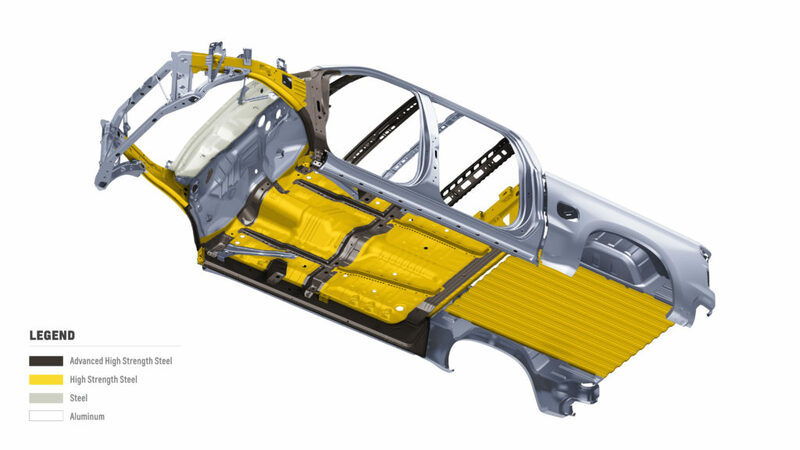 Third-generation steels have arrived on the market and can be used to replace a vehicle’s advanced-high strength steel and press-hardened steel, experts said this week. “3G” steels achieve the low weight and increased toughness of existing ultra-high-strength steels but without the formability restrictions of their predecessors. It’d been a “long conversation,” but “they’re here,” AK Steel research and innovation Vice President Eric Petersen said during an interview Monday at the Center for Automotive Research Management Briefing Seminars. “There’s even more coming,” Petersen said. A number of companies are making capital investments related to the metal, Petersen said. Earlier that day, U.S. Steel global product development and engineering Vice President Bernhard Hoffmann had noted U.S. Steel’s and Kobe Steel’s joint 2017 announcement of a $440 million coating line for 780- and 980-megapascal third-generation ultra-high-strength steel. “That line should be up and running next year,” he said during a CAR MBS panel on lightweighting. Some third-generation steel applications have already reached the market, and a lot of qualification activity was underway to confirm the metal can be painted, formed, stamped and welded as needed, Petersen said. “That’s much of what we’re going through right now,” he said. 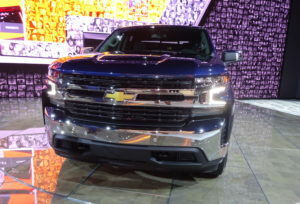 U.S. Steel’s “Mart-Ten1500,” a 3G martensitic steel with ultimate tensile strengths of more than 1,500 MPa, will appear on the 2019 Chevrolet Silverado on sale this fall. Both the truck and steel on Monday won Altair Enlighten Awards for lightweighting innovation. “U.S. Steel’s advances in continuous annealing technology have enabled the Gigapascal strength to be achieved consistently and repeatedly in mass production to offer more than 10% in weight savings,” an Altair description states. 3G steels on vehicles today might be less aimed at “complete lightweighting” and more at getting the automaker used to working with the material, according to Petersen. However, he said new designs are coming which will be “highly dependent” on those steels. Initial applications of the steels are twofold, according to Petersen. One use case simply involves shifting higher-cost press-hardened, hot-stamped parts — often passenger cage elements like rails and the B-pillar — to more affordable 3G steel versions. It’s purely an “economics play,” he said. The second is the “true lightweighting opportunity,” Petersen said. The increased formability of 3G steels enables geometries that could never have been achieved with the prior generation of ultra-high-strength steels. In the past, an OEM wanting to make a more difficult shape had to use a lower-tensile-strength form of the metal, which meant a thicker and heavier part. Accomplishing the same shape with a higher-strength steel lets you get thinner and lighter. It also allows automakers to play around with different body-in-white geometries that could get the job done as well or better — but perhaps with fewer parts or a lighter shape. 3G steels could be used “anywhere today” with “high-strength steel on up,” Petersen said. This truly could extend below the 590 MPa range to “500-type things” stuck in the high-strength, low-alloy range, he said. Hoffmann agreed that more parts than simply the press-hardened steel could be swapped out for 3G steel versions and predicted a “large shift” to the latter. 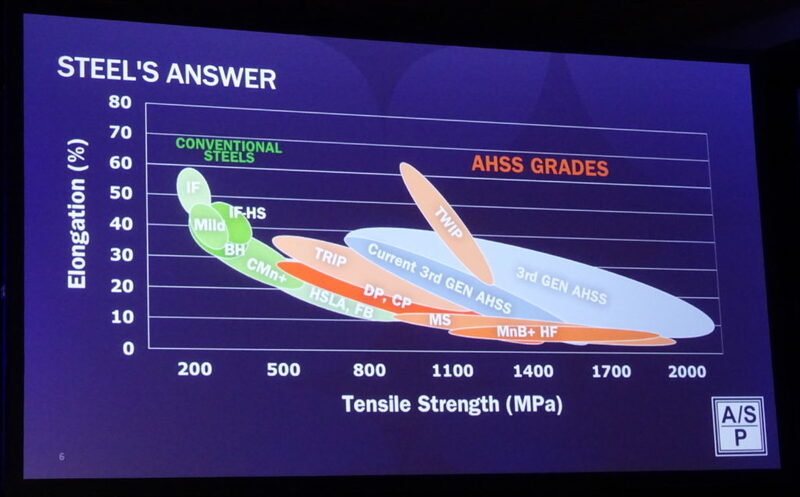 He said 980 MPa 3G steel could replace steels down to 590 MPa dual-phase, while U.S. Steel’s 780 MPa 3G steel was as formable as 440 MPa steel. The 3G steels cost more then the existing lower-strength steels, but as the OEM doesn’t use as much of the material to achieve the same result, the automaker might wind up saving $1 a pound on the overall part, according to Petersen. Nucor market development and product applications manager Dean Kanelos said many 3G steel opportunites existed to improve not just the intrusion protection of the body-in-white (the pillars, rails and crossmembers) but also its crumple zone energy absorption. Hoffmann said 3G steel meant steel could be “predominant” in areas like rail structures, the underbody and structural components. Automakers had made the decision several years ago not to put a lot of infrastructure into designing for press-hardened steel, as they didn’t want all that effort to be rendered obsolete, according to Kanelos. “They’ve been pushing us very hard to get to where we’re at right now,” Kanelos said. OEMs will start to substitute many parts with third-generation steel versions, he predicted. Nonetheless, press-hardened steel was still predicted to see a gradual increase up to 2025, he said. Upgrading lower tensile strengths to 3G steels could lead to more of the vehicle carrying stricter repair restrictions than had previously been experienced. For example, higher tensile strengths tend to carry bans on heat. Research into the metals might yield some circumstances in which these rules can be loosened slightly. Honda in 2016 revised its ultra-high-strength steel guidance to permit a few more operations — but only under certain conditions. Auto/Steel Partnership Executive Director John Catterall said his organization and General Motors are examining the possibility of relaxing some of GM’s steel rules; research on their findings is expected to be presented at SEMA, he said. Future research will study the repairability of 3G steels, he said. But don’t expect that you’ll fire up the OEM repair procedures website one day and discover all modern steels can now be treated like mild steel. Kanelos said the days of “heat and beat” are over, and repairs involve replacing rather than fixing parts.